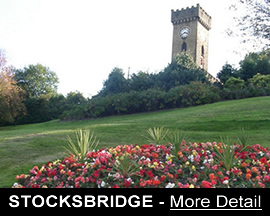 Stocksbridge Town Council work in partnership with authorities, organisations and community groups to improve the area and to increase the amount of work that is done locally to regenerate the whole area. Latest news and updates can be found here. Stocksbridge Town Council and Bradfield Parish Council have jointly commissioned the charity Sustrans to develop cycle and walking route options over and through their eastern boundary, the Upper Don Valley, into the Sheffield Lakeland Landscape Project (SLLP) area, including links to the existing Trans Pennine Trail. The SLLP includes both Stocksbridge and Bradfield Parishes within and adjacent to the Peak District National Park. Both Councils are keen to identify and enhance access to this important and beautiful landscape which is rich in heritage and in recreational challenges at all levels for families and individuals alike. Sustrans is the national charity which makes it easier for people to walk and cycle. It created the National Cycle Network, which is 16,575 miles of cycle and walking routes, many of which are traffic-free. The need for better routes and improved provision for walkers and cyclists has never been so urgent as it is now. With increased traffic flow expected on existing infrastructure with new developments, this work will be a step forward in realising the ambitions of the area in elevating walking and cycling provision as a priority and supporting a sustainable way of tackling issues such as congestion, air quality and health inequality. This work represents the ambition of both Bradfield Parish Council and Stocksbridge Town Council in promoting the Sheffield Lakeland as an emerging key tourist destination area, helping to increase local economic growth through attracting new and more cyclists and walkers to the area. Significant housing developments particularly at Deepcar and Oughtibridge/Wharncliffe Side bring developer and local authority commitments to cycleway and footpath provision. The two Councils wish to see these fully implemented to best advantage for our new and present residents as well as for the enhancement the visitor economy in the area. Do you belong to a local group within the Town Council area, being Stocksbridge, Deepcar and Bolsterstone? Does your group hold its own constitution and bank account? 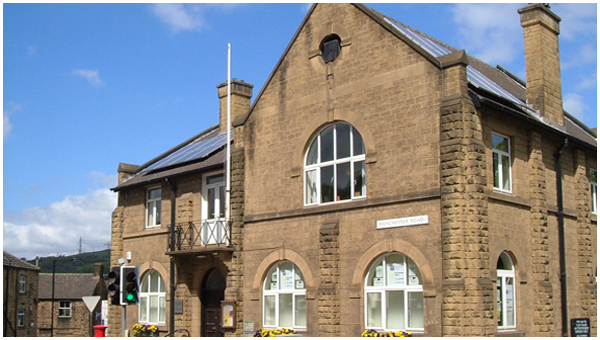 If so you may be eligible to apply for funding to one (or more) of the three grant schemes Stocksbridge Town Council administer or contribute to. ARE YOU INTERESTED IN BECOMING A LOCAL COUNCILLOR? The Stocksbridge Town Council are objecting to this development for a number of reasons which we shall set out below. From this planning application first having been received, we have been contacted by numerous local residents objecting to this development. No one has been in contact to support the application. We have never received information directly from the developers wishing to engage with us. Hollin Busk is an area at the top of Carr Road that historically was mined and then laid to agriculture. It is regularly used by people who enjoy the great outdoors the North of Sheffield has to offer. It has wonderful vistas from its elevated position. 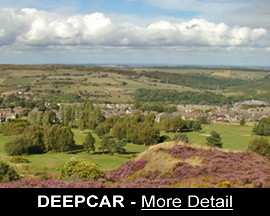 It is a significant piece of land in the local community in that it separates Deepcar and Stocksbridge allowing each Town its own identity. Because of this since 1998, the Hollin Busk Fields have been designated as open space/open countryside not in the green belt. This came about because it was accidentally left out of the Green Belt, but, it was recognised that the land should be protected. This land is now only one of four sites in Sheffield that to be so designated. In March 2009, Core Strategy 72 (CS 72) - protecting countryside not in the green belt was adopted. This regulation is still in place, it is as valid now as it was when adopted, and as such Hollin Busk must remain as it is, to comply with this regulation. The Town Council and residents have no objection to house building in the area, providing it is in the right place. We have extensive developments underway at Deepcar (Bloor Homes), Fox Valley (Stonebridge Homes) and just outside our boundary at the Oughtibridge Valley site. Hollin Busk is not the right place to build, a point that is supported by Government Policy CS72. We take issue with the developers statements regarding public transport. The 23 &23A buses can be caught to Penistone to link with the Railway Station. This service has only three buses a day the first one at 09.52. Trains from Penistone run only hourly and only to Sheffield and Huddersfield. There is one bus a day to Barnsley, the 57 to Sheffield is hourly, and the bus stop is quite a walk from this site. The SL1A does not start until after peak times meaning the SL1 would have to be caught extending the journey time to Sheffield. The bus stop for this bus is some 600m away, that is 50% more than the recommended walk to a bus stop and would be a significant up hill walk when returning home. All of this indicates that the reality is commuters will chose to drive themselves rather than use the limited public transport. We are already realising the significance of disruption to road traffic from the Houses being built by Bloor Homes on Manchester Road Deepcar. A second set of traffic lights is to be added to allow access on/off of this development. These will be approximately 100m from the junction of Manchester Road, Carr Road, Vaughton Hill. Currently this junction is gridlocked at peak times of the day. Additional vehicles travelling down Carr Road to get to Sheffield, the M1 motorway or the Stocksbridge by-pass will add to the congested area. There is a Nursery and Infant School on Carr Road opposite this proposed site. Due to the hill that it is built on, parents drive their young children to school rather than walking. This causes congestion at the top of Carr Road, with vehicles parked for the school where the entrance to the development is planned. There is no footpath on the development side of Carr Road. We are concerned about the road safety implications, with an additional junction, parked vehicles and additional vehicles from this development. While Stocksbridge and Deepcar are fortunate to have local shops, a Library, GP surgeries, public houses, none are realistically in walking distance. Especially not on the journey home up a steep hill. We would invite anyone to try walking it, it would then be apparent that in reality car journeys will be used, due to the gradient and lack of nearby public transport. Water has to go somewhere, often run off from the surrounding fields floods down Carr Road and also along Hollin Busk into the fields of this site. With the additional foundations cutting off natural routes we are concerned about the excess water, and the local drainage system being able to cope with it. Fox Glen is a local wood that the local schools enjoy as part of the Forest Schools initiative. It has much wildlife that over recent years local groups have encouraged to return and seek to protect. We are concerned that local conservation projects will fail with housing built on this site. In summary, Hollin Busk plays an important role in the areas Outdoor City Initiative. The Outdoor City is something we are keen to promote and encourage in the area. A housing estate in this location will detract significantly from that . It would also contravene Government Policy CS72. We would ask that the planning authority reject this proposal. Stocksbridge Town Council has decided to initiate a grant scheme for groups in the valley which requires public participation i.e. listening to groups bidding and ranking your preferences as to which project is most deserving of your vote. Everyone living and working in the valley, 8 years old or above is invited to vote. Bids can be submitted by a constituted community group. There will be two bidding rounds a year, Spring and Autumn. The money comes from CIL (Community Infrastructure Levy). The total on offer in each bidding round will vary, but for this round it is £28,000. A Participatory Budgeting Task group has been set up to oversee the process, not to decide who gets what (the voters do that) but rather to &apos;police&apos; the whole process, making sure everything is fair and that deadlines are adhered to and counting votes double checked. The Town Council is the minority on this Task group. The date for the voting is Wednesday 8th May. An information day will be held in our Library on Tuesday 5th March, 1pm until 7.30pm where all questions can be answered and all relevant dates and paperwork for people intending to submit a bid will be distributed. The deadline for submitting a bid is Tuesday 9th April. At the Town Council meeting on Thursday 10th January, the new neighbourhood policing sergeant Kieran Frain attended. PS Frain is now based at the Deepcar Police Station along with the two PCSO&apos;s. The Town Council were informed that interviewing is to take place imminently to select two PC&apos;s to also work from Deepcar police station as part of the Neighbourhood Policing Team. PS Frain was able to provide information to Councillors and members of the public who were present, regarding a number of local matters that have caused the community concern over recent times. Streets Ahead - Works are ongoing on the highways improvement programme. Further details can be found on the Sheffield City Council website. Newly elected Mayor, Cllr. 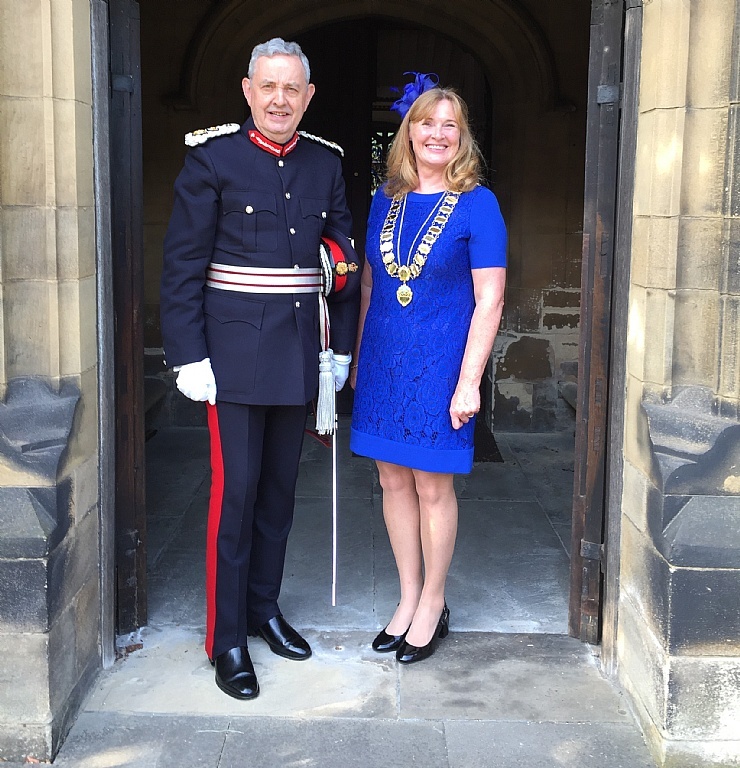 Julie Grocutt held a Civic Service at St Matthias Church on Sunday, 20th May attended by representatives of local community groups and dignatories including Lord-Lieutenant Andrew Coombe. 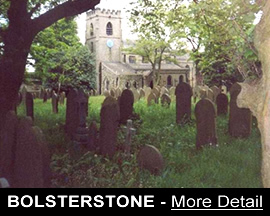 The Arch Deacon Malcolm Chamberlain conducted the service together with Reverend Hilda Isaacson and there was a performance by Bolsterstone Male Voice Choir.